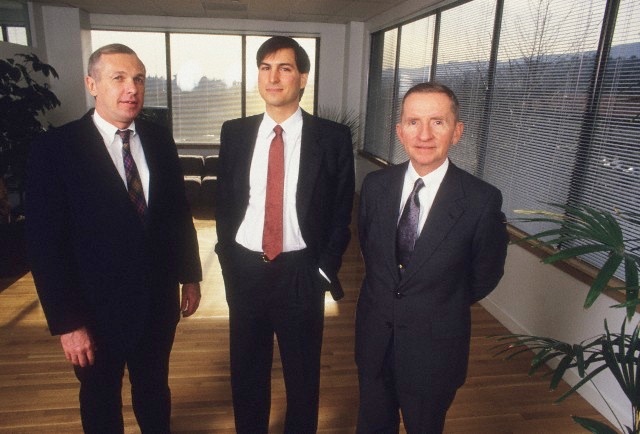 Pat Crecine was one of Carnegie-Mellon's administrators, and a good friend of Steve Jobs. When Steve started NeXT in 1986, Crecine joined the board of the company early on, to give advice on the company's primary market, higher ed (the other members were Ross Perot and Jobs himself). Carnegie-Mellon was at the time one of the world's leading-edge universities in computing.